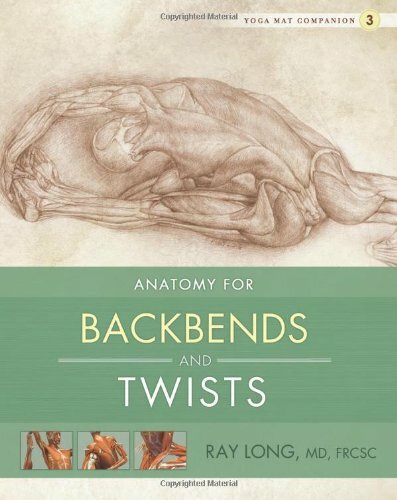 The third book in the Mat Companion series explores the art and the science behind backbends and twists. 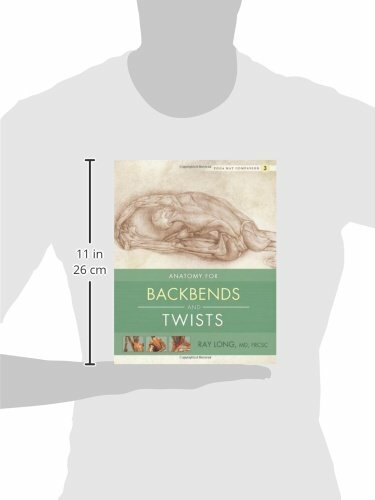 This companion provides readers with accompanying visuals and specific instructions on how to better understand the anatomy of backbend and twisting poses. 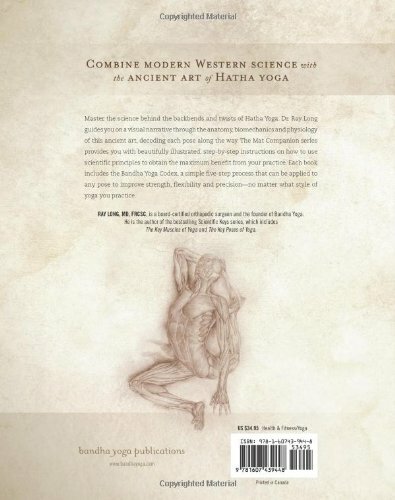 Through this scientific approach to backbends and twists, practitioners are able to build a stronger knowledge and awareness of the anatomy of this family of poses and deepen their practice. This image illustrates the relationship of the psoas and quadratus lumborum muscles to the lumbar spine. 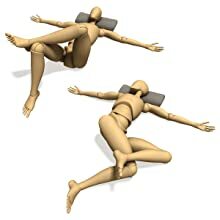 Arching the lower back contracts the quadratus lumborum. 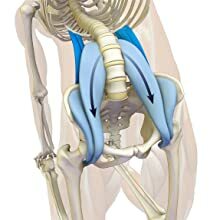 This muscle is neurologically connected to the psoas major, so that they automatically engage together to support the lumbar region. Take advantage of this relationship by attempting to slightly flex the hips once you are deep in a backbend. This action augments the contraction of the psoas major produced by arching the back. Once you have lifted the pelvis, relax the hamstrings and activate the quadriceps to deepen the pose. 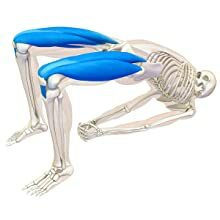 Remember that the quadriceps extend the knees. Because the feet are fixed on the mat, attempting to straighten the knees actually lifts the torso. Press the other hand into the mat and attempt to 'scrub' it forward (as if you were attempting to raise the hand). 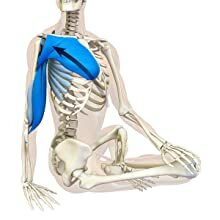 This engages the biceps and brachialis muscles, as well as the anterior deltoid, the pectoralis major, and the serratus anterior. Focusing on these muscle groups turns the trunk deeper into the twist. Use a passive twist to release and restore the back muscles when cooling down from backbends. These images illustrate a twisting stretch of the lower back muscles and hip abductors. Cross the foot on the knee and then turn the pelvis as shown. Abduct the shoulders and turn the palms to face up. Turn the head.